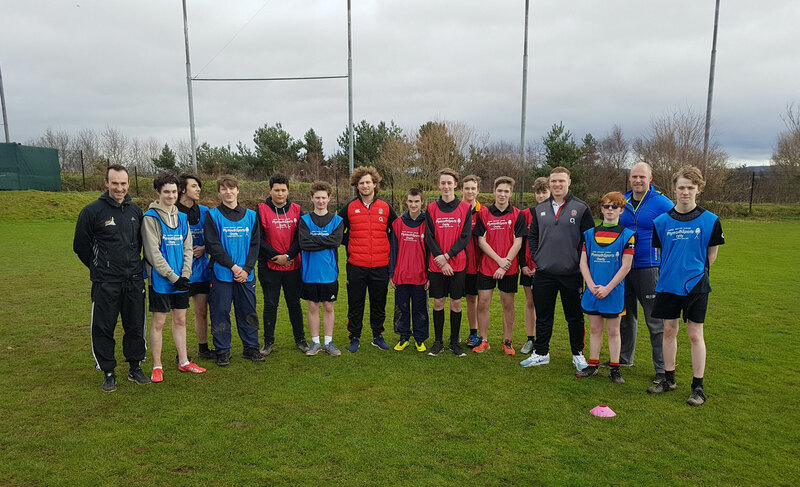 A group of Year 11 students at saltash.net recently spent a day with the Exeter Chiefs, as part of the ‘Try for Change’ project, which develops employability skills through rugby. The students have been part of the project for the last ten weeks, developing their skills through weekly visits by coaches from Plymouth Sports Charity. The project is funded by Sport Relief, and as the students had progressed so well over the course, they were selected to take part in this day which enabled all involved to come together. 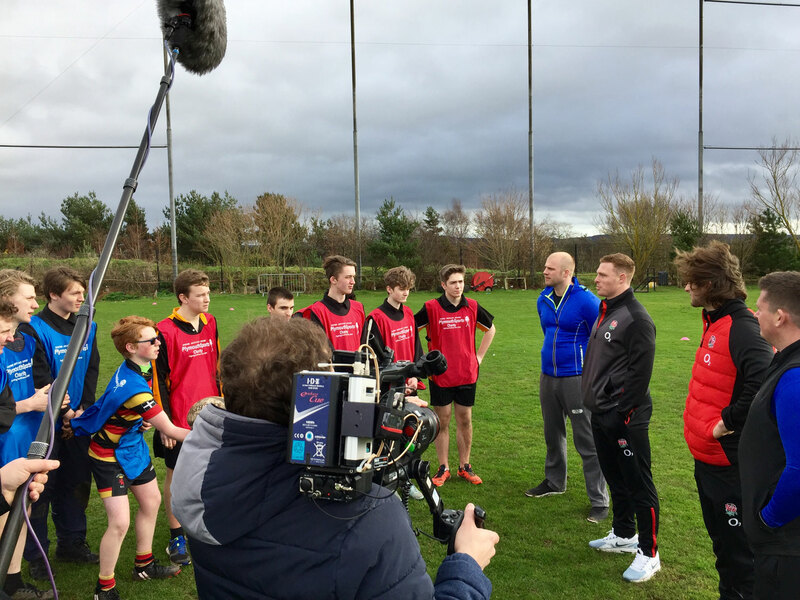 A BBC crew followed the students throughout the day, filming students playing rugby and enjoying lunch with two England players, Sam Simmonds and Alec Hepburn, who play for the Exeter Chiefs. All of our young people conducted themselves extremely well on the day and have really thrived throughout the project. Two students, Josh Ainsworth and Hayden Cole, were selected to chat 1 to 1 with the England players in front of the film crew. They shared stories about their lives with the players, positive changes they are making and are intending to make and how the project has helped them, and were outstanding. The film crews and directors were mightily impressed with how they spoke with clarity and confidence. Josh and Hayden now have an opportunity to meet the whole England team at their training camp in February. Footage from the day may be broadcast nationally on one of the BBC Sport Relief programs in the build up to the main day in March.